John Joseph "Bink" Powell, 72, of Cumberland, died Monday, May 23, 2016. Born on June 15, 1943, in Cumberland, he was the son of the late William and Edna Powell. In addition to his parents, he was preceded in death by his brothers, William Powell, Jack Powell, and the Rev. Robert Powell; and his sisters, Maxine Kent, Audrey Powell, Evelyn Powell, Barbara Clay and Brenda Gurganus. He was a 1961 graduate of Allegany High School. He joined the U.S. Army following graduation, and he served his country from 1961 to 1966. Upon completion of his service to his country, John went to work at Kelly Springfield Tire, where he worked for 21 ½ years until the company closed in 1987. Following employment at Kelly Springfield Tire, he then went to work at the State Highway Administration for the next 22 years as a traffic engineer. John's passion for singing and music led him to be a member of the McKendree Men's Choir, where he inspired others through his voice. A compassionate man devoted to helping others, John welcomed over 50 foster children into his home. 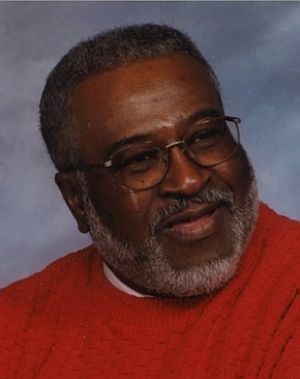 He was a member of the former LaVale Assembly of God Church. Surviving John is the love of his life and wife of 38 years, Sharon Powell; brothers, Col. Donald Powell and wife, Rosie, of Springfield, Va., and Ronald Powell of Baltimore; all of his special nieces and nephews; and his forever buddy, Royce Boyce. Friends will be received at Scarpelli's Funeral Home, 108 Virginia Ave., Cumberland, on Wednesday, May 25, 2016, from 5 to 8 p.m.
A funeral service will be conducted at the funeral home on Thursday, May 26, 2016, at noon with Pastor Martin Lease officiating. Pallbearers will be Vinny Gurganus, Paul Clay, Brooke Davis, Kenny Davis, Rodney Keyes, and Larry Murchison. Honorary pallbearers will be Terry Powell and Devin Kasecamp. Interment will be in the Maryland State Veterans Cemetery at Rocky Gap, where military honors will be accorded.